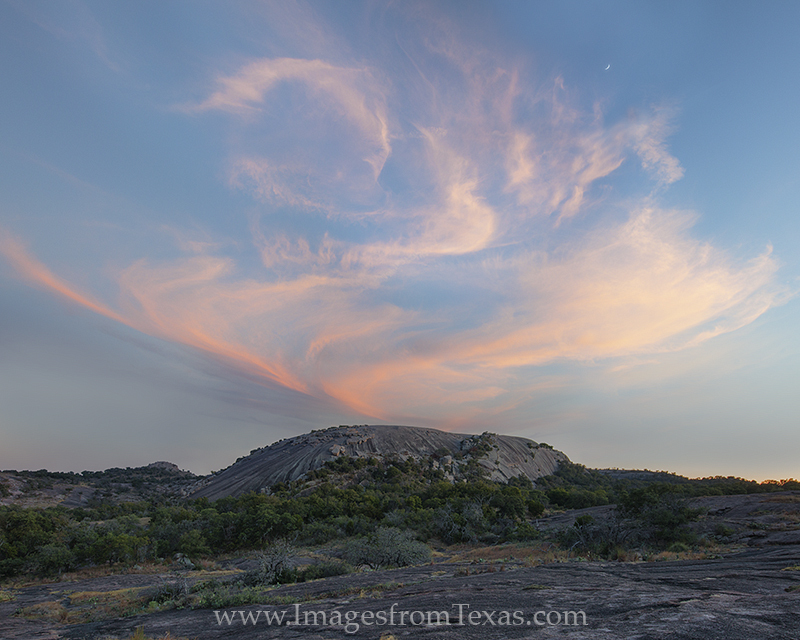 Among Texas landscapes, Enchanted Rock in the Hill Country is one of my favorites. On a special night when I had gone out to shoot the Milky Way, the western sun lit up some amazing clouds lighting up and quickly fading. This view looks relatively south-southwest. Later these beautiful creations would fade and give way to a wonderful night sky, and the setting moon would vanish behind the granite uplift, as well. Photo © copyright by Rob Greebon.